Archery is a sport which does not cost you too much money, but still gets you physically and mentally fit. Most people are now moving towards archery equipment for hunting and survival because the cost of getting archery equipment is much lower than getting a firearm. While you are in archery, the gears that you may need to invest in include bow stabilizers and bow sights. If you want a comprehensive review on these gears, you can check out the article I have written here. These gears are tailored to get your aim right to that you can shoot your target accurately as many times as possible. 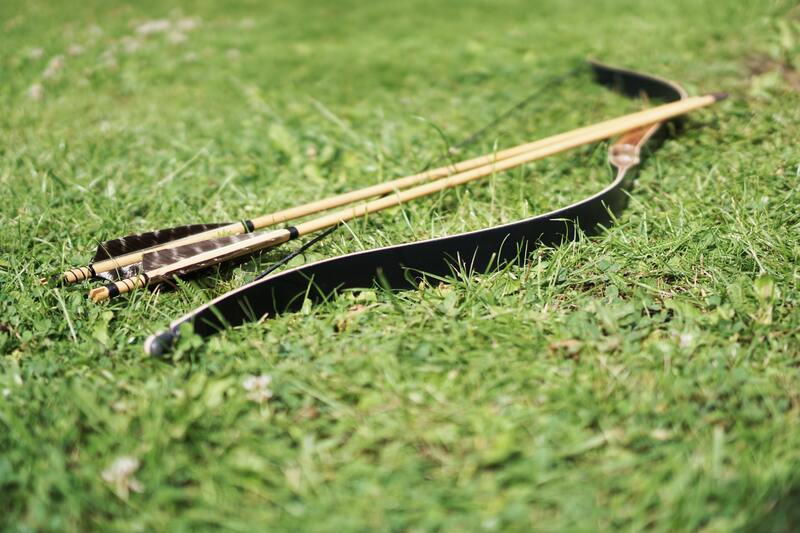 So, still thinking whether you want to acquire archery skills in your self-reliance journey? Here are 3 reasons to consider while making that decision. If you want to get a head start on whether archery is a useful survival skill, you can watch this video. While you should plan on having survival or emergency food on hand for any type of situation, hunting is a great way to supplement these resources. Hunting in general is an important survival skill by itself too because you may need to obtain food sources while you are bugging out. If you have archery skills in the bag, it can help you hunt fish, elk or deer depending on your location. Also, bows are much more effective for hunting because of the low-level noise that it makes. For guns, you need silencers to make the noise bearable. Otherwise, the amount of noise you cause would catch unnecessary attention. Especially when you are hunting, if you are not careful enough and cause too much noise, your game will be aware of your presence and react accordingly. But even for bows, you may want to invest in bow stabilizers to reduce the amount of noise that you make while shooting. Trust me, this is a worthwhile investment. Even if your bow is not strong enough, you can aim to get small games like rodents and rabbits. Another aspect you can look into is to bowfish as well. To bowfish, you can add a line to the arrow but make sure that the line is sufficiently strong to carry weight. This reason would be more in reference to practicality. When you are caught in a really bad disasters, we can reasonably assume that all supplies and equipment would be gone. Your access to bullets and firearms would be limited which means the next best ranged weapon to protect yourself would be your archery gears. You can use a boot knife to craft wood that is strong enough such as oaks or lemon trees into the base of your bow. Next, you need to utilize items like ropes or fishing lines to make your bowstring. If you are in the wilderness, you can use vines or strong fibrous stems and make it into your bowstring. While things like sticks can be used to make arrows and stone chips can be the broadheads. If you want sharper broadheads, you can try to use glass by breaking a window or some glass bottle. The goal is to make a bow and an arrow into something that can shoot accurately and consistently. Not to mention being able to make powerful shots too! If you like to watch a video on how you can build a survival bow for more illustration, you can check out the video below. Reason 3: It is Cost-Effective! So, there are two ways how getting archery gears is cost-effective. First, your archery gears are more versatile. The arrow can be used as a drill to help you with kindling a fire. The string for the bow can be used for other purposes such as a fishing line, to set traps or help build your survival shelter. This is in comparison with other gears of course. Next, arrows can be reused again and again, until the fletches come off or the arrow-point becomes dull. To do this properly, you may want to choose an arrow which is made from durable materials. Usually, the body of an arrow is made from wood or carbon which are usually enough to sustain force. You may also want to learn about the various arrow tips that are available such as using blunt tips for small games. People would get arrow-tips which are pointed with larger broadheads to do more lethal shooting. After you are convinced about getting archery as a survival skill, it is time to delve into getting the best kind of gears. In looking out for a good stabilizer there are several things to consider including getting one with the perfect length and weight, ensuring that it is made from sufficiently durable stuff and ensure that it is adjustable (depending on your preference of course). Getting the best gear would not end it all yet, you still have to find out how to utilize those gears to make your shots consistent and accurate. You have no choice but to practice shooting consistently and find out what works! If you have any other ideas you would like to share, feel free to comment below! What are the Best Tactical Shemagh?